This year in the Career Resource Centre we were so lucky to have 6 amazing Career Assistants who helped students with their career planning process, engaged in a variety of events and project within the centre, and provided so much life and energy to the work. "Being a Career Assistant was a rewarding and challenging opportunity. Not only did I get the chance to help Brock University students with their career aspirations, but I was also able to better understand my own goals, skills, and areas that need improvement. One important thing that I learned through my position as a CA is to always have a well thought out, structured, and realistic plan. It makes life much easier! And if you’re reading this and worrying that you don’t have a plan, you should go to the Career Resource Center where any of the Career Assistants there can definitely help you put a great plan together!" "My experience as a Career Assistant was invaluable. Not only did I get to learn more about my program of study and the different opportunities available to me there, but my eyes opened up to all the programs Brock has to offer and the value in every field. As an aspiring future educator, I appreciated the opportunities I got to teach and advise the students coming in to the centre with questions or for resume and cover letter reviews, and at the same time I myself was learning something new everyday, right up until the last. 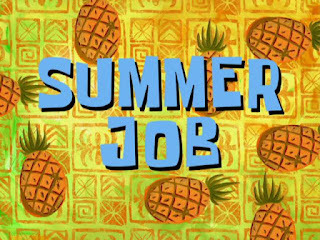 I am so glad I got the chance to be a part of this team and department, and am thrilled to stay on for the summer and as a Senior Career Assistant in the Fall!" This past year as a Career Assistant, I have learned so much about the work world. Not only is my resume and cover letter looking great, I have learned about some great tools that help out in networking and researching when looking for that perfect job. Believe me, the perfect job IS out there. My advice for students: never stop looking, some job postings may be up in a news paper or on an online job board one day and gone the next, always have your resume tailored and ready so you can jump at the amazing opportunities! As for next year, you may just see me as a Senior Career Assistant in the Resource Centre, be sure to stop by for a visit! Thank you for using our services this year and allowing me as a career assistant to learn through your experiences and knowledge. I encourage you to continue to look for jobs you enjoy and get started early! All the best for summer and I look forward to seeing you guys back again in the fall. Working at Career Services has been an exciting and inspiring experience. I have learned a lot about myself and about the many students I've assisted during the past year. I'm looking forward to continuing work here during the summer and into the upcoming school year! We are so thankful for this leadership and excited for what the future holds for each and everyone of you. Thank you for all your hard work and dedication. I know Career Services is excited to have some of you back, and wishes you all the best on your individual career paths!